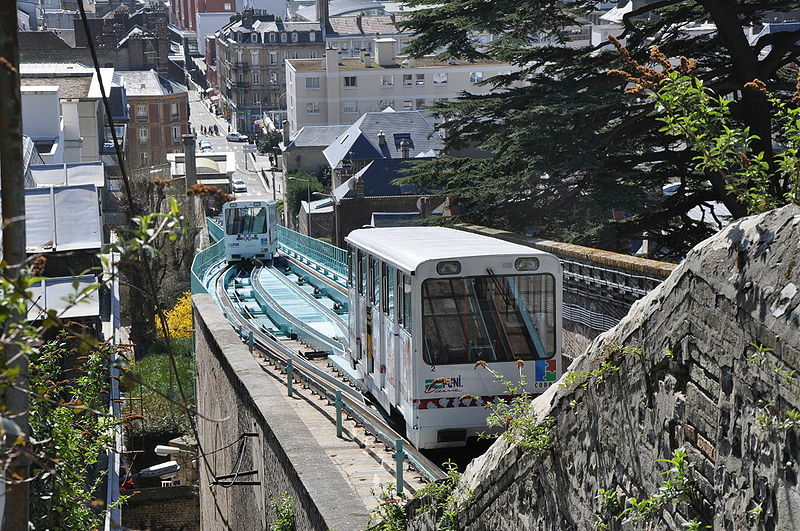 The Le Havre tramway on the day of its rebirth. Operator: Compagnie des transports de la porte océane, on behalf of the Communauté de l'agglomération havraise. Horse–powered tramway 1 Feb. 1874 - 25 Sept. 1894. Electric tramway: 2 Feb. 1894 – 4 June 1951 (1st generation); 12 Dec. 2012 - today (2nd generation). Funicular: 18 Aug. 1890 - today. 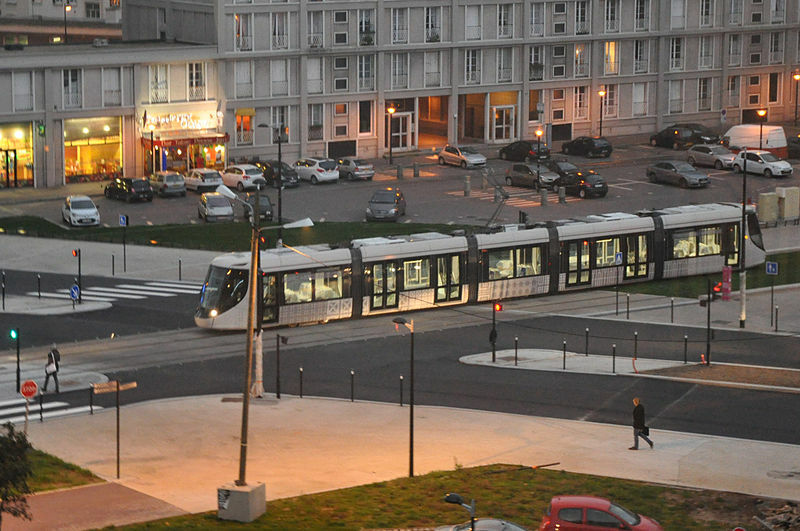 Tramway (Le Havre, old and new): 1435 mm. Jacquot, A. "Les Tramways du Havre", Connaissance du Rail, Mar.-Apr. 2009 (334-335), p.4-15. 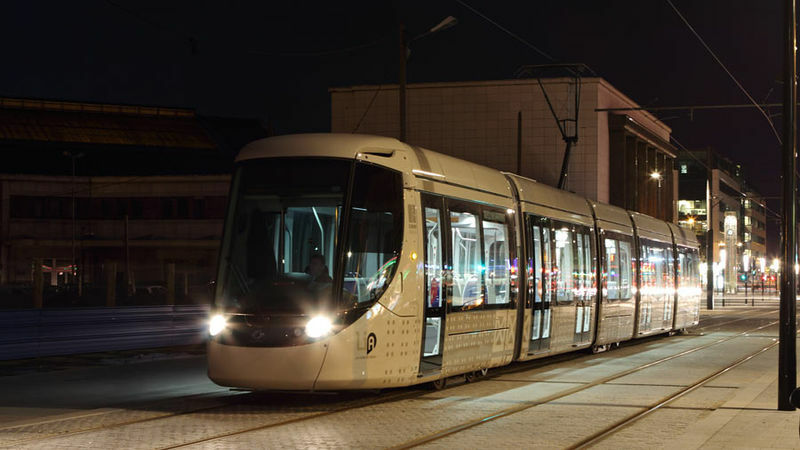 Laederich, P. "Un nouveau tramway pour Le Havre", Connaissance du Rail, Mar.-Apr. 2009 (334-335), p.16-18.